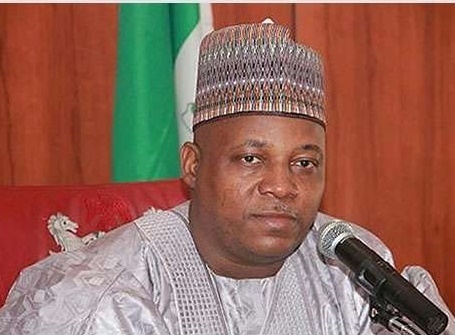 Governor Kashim Shettima of Borno state has warned against pushing President Muhammadu Buhari into contesting the 2019 presidential election. He also warned that it would be equally wrong for anyone to ask the President no to seek another term in office. Governor Shettima, in an interview with journalists on Sunday, stressed that such decision should be solely made by the President. He said: ”He’s a stabilising factor in this country; he’s a man of impeccable credentials, no matter what you will accuse Buhari of, nobody can accuse Buhari of corruption. But that decision should be made by the President, nobody should ask him not to contest, in the same vein nobody should push him to contest; he has his own health to take care of, he’s not a young man by any standard. Speaking on his own presidential ambition, the governor said: ”I never planned to be the governor of Borno state and for the presidency of this country; I am a student of history. ”Nobody had ever aspired to be president of this country and got it. As popular as President Buhari is, with is bite-like grip among the northern masses, on three occasions he couldn’t realise his dream.